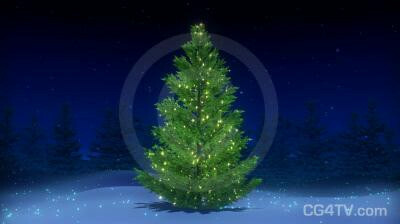 Royalty free Christmas Tree looping 3D Animation. Available in HDTV (1920 x 1080) resolution, standard NTSC and PAL, and web optimized resolution. EXCLUSIVE product. 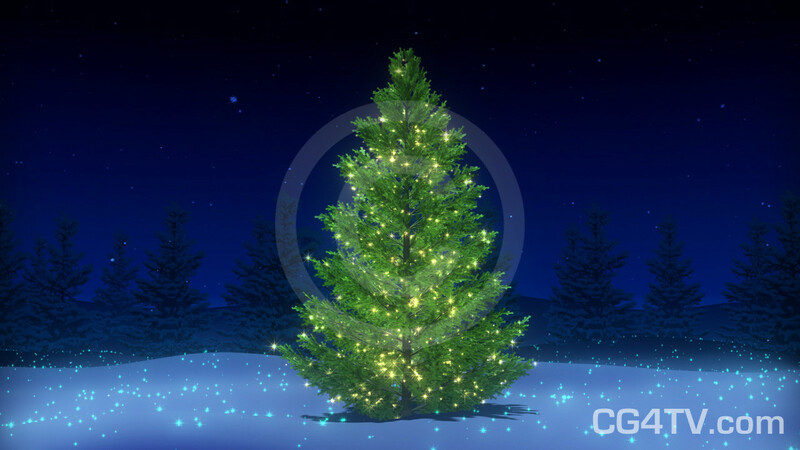 Christmas Tree 3D Animation is only available from CG4TV.com. We don't have resellers or representatives. This product that can not be purchased elsewhere. Christmas Tree Animation is the most recognized and beloved symbol of Christmas all over the world. Our spinning Christmas tree animation is sure to warm the heart. See how the horizon revolves around our noble Christmas tree, adorned with hundreds of gleaming lights. The dark forest watches as our tree stands in a field of glimmering snow. Our looping animation is perfect for the holidays. Don't Forget! All our stock animations are Royalty-free. You'll enjoy substantial savings over custom. And we're constantly adding to our stock collection, so you're sure to find just the right one for all of your projects. And remember, all our animations are available in a variety of sizes and resolutions to meet your needs.